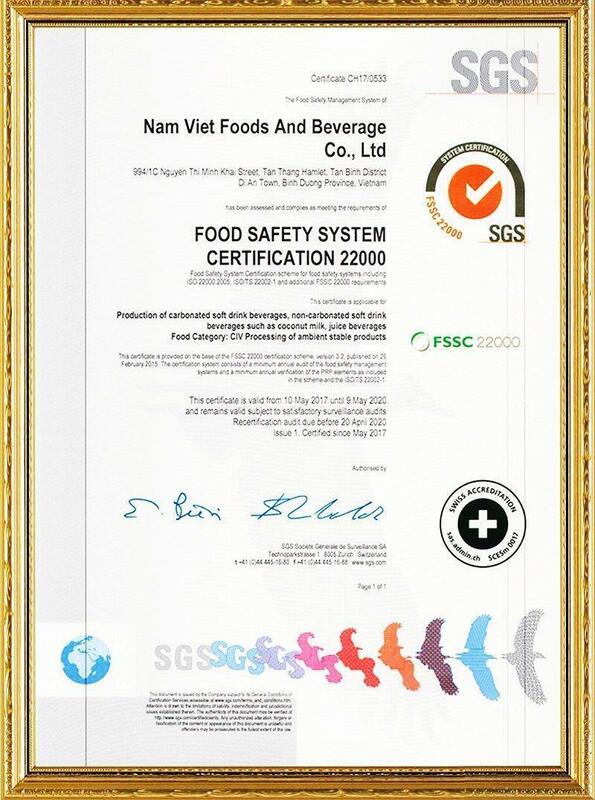 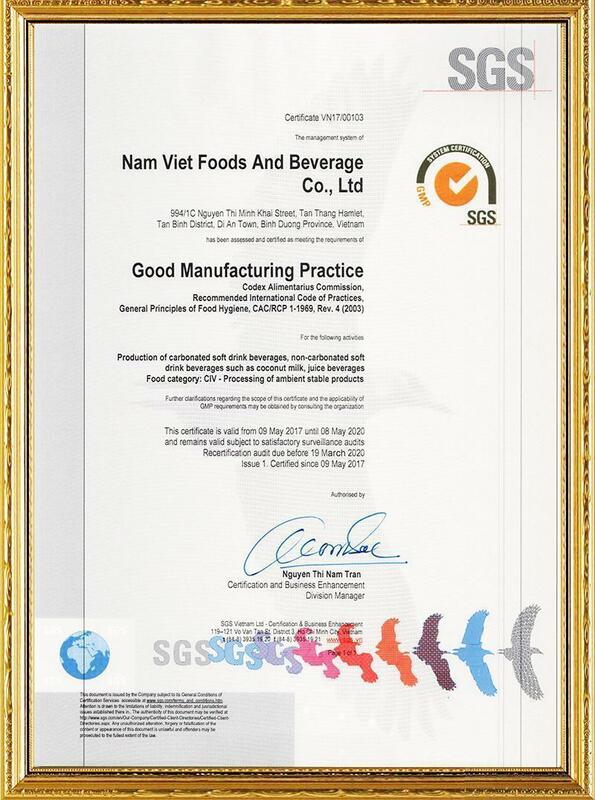 NAM VIET F&B leading beverage manufacturer and exporter in Vietnam. 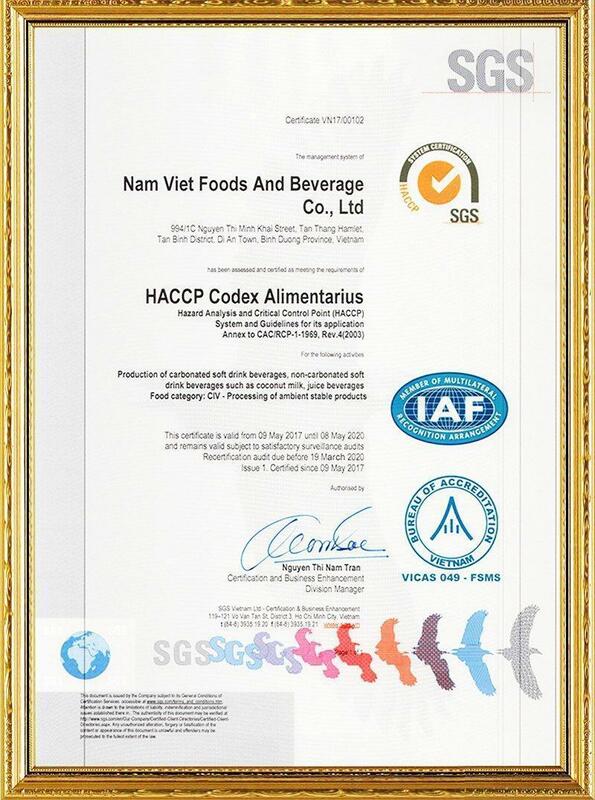 We produce: Coconut Water Products, Aloe vera juice, Energy drink, Fruit Juice, Coffee drink Serial, Sparkling Coconut Water...All our drinks are from natural sources. 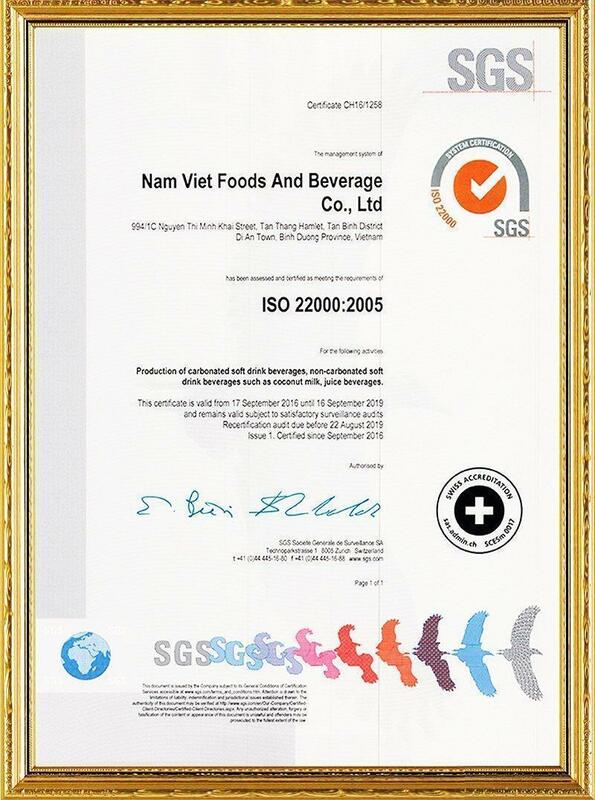 never from Concentrate.